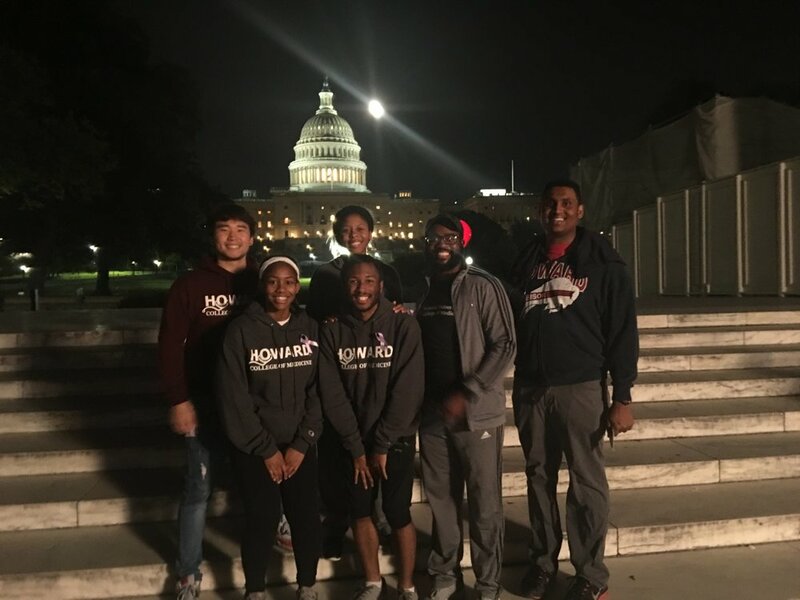 The HUCM Oncology Student Interest Group participated in the "Light The Night Walk DC" for The Leukemia & Lymphoma Society (LLS). LLS is the world's largest voluntary health agency dedicated to blood cancer and funds lifesaving blood cancer research around the world and provides free information and support services. With funds raised from an earlier bake sale at HUCM, the HOSIG group was able to donate 100 Dollars to the cause and participate in the loop around the National Mall. Out of the Darkness Overnight with our very own Melanie Swang!